The Toyota Regius being towed from the accident scene. 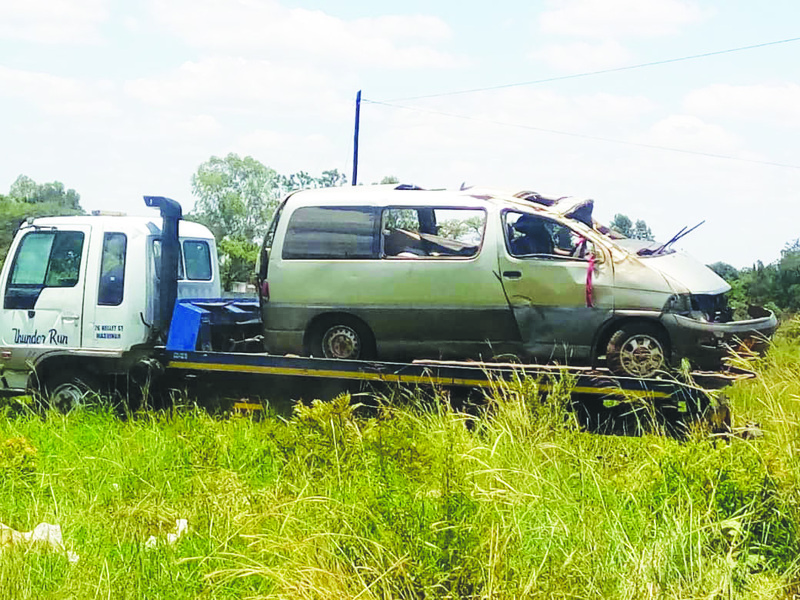 MASVINGO - Two people have been killed in an accident and two others are in critical condition when their Toyota Regius overturned and rolled several times at Puma Clipsham Service Station in Masvingo throwing out all four passengers including the driver. The accident happened at 1130am today. Masvingo Police Spokesperson, Chief Inpsector Charity Mazula confirmed the accident. The injured are admitted at Masvingo Provincial Hospital and doctors have said that their condition is critical. 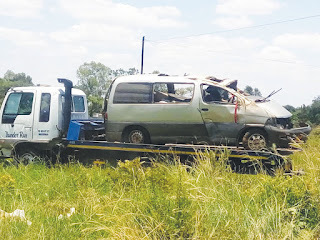 Eyewitness told The Mirror that the vehicle was coming from Bhuka, a business centre about 20km from Masvingo along Masvingo – Beitbridge Highway when it overtook a Toyota Wish as it approached Puma Service Station. It overturned several times thereby throwing out everyone in the vehicle. “The four passengers in the vehicle were thrown all over the roadside,” said an eyewitness, Stan Chadenga.